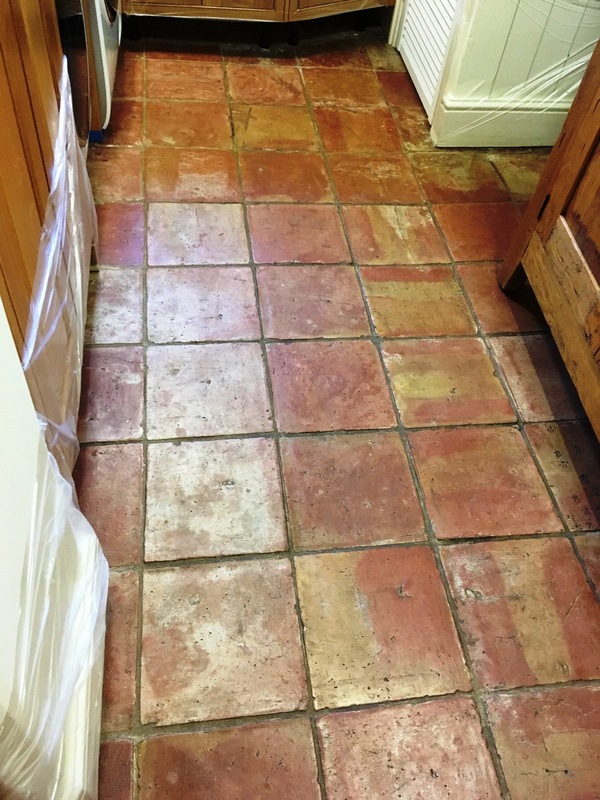 These photographs were taken at a recently purchased cottage in Alveley, Bridgenorth and the new owner was keen to refurbish the floors. 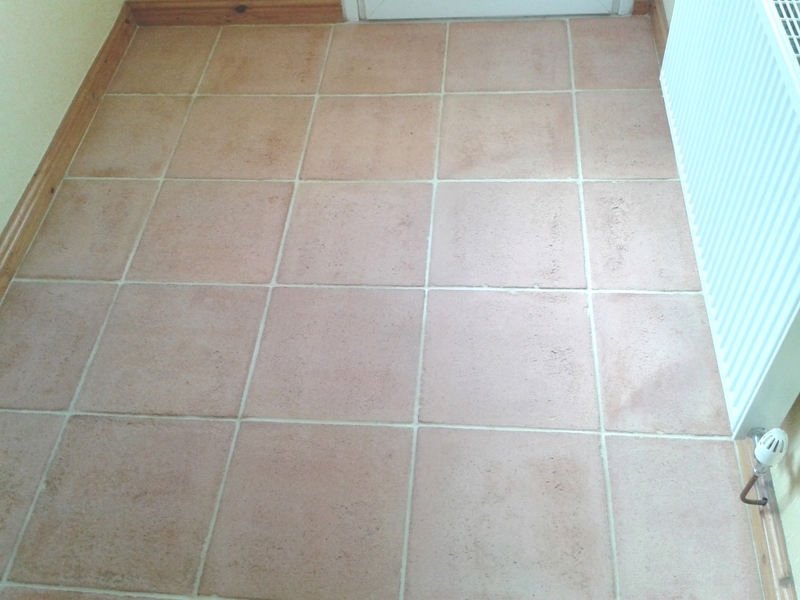 The quarry tiles in the lounge had grout haze and general dirt on also the grout needed replacing in several places. 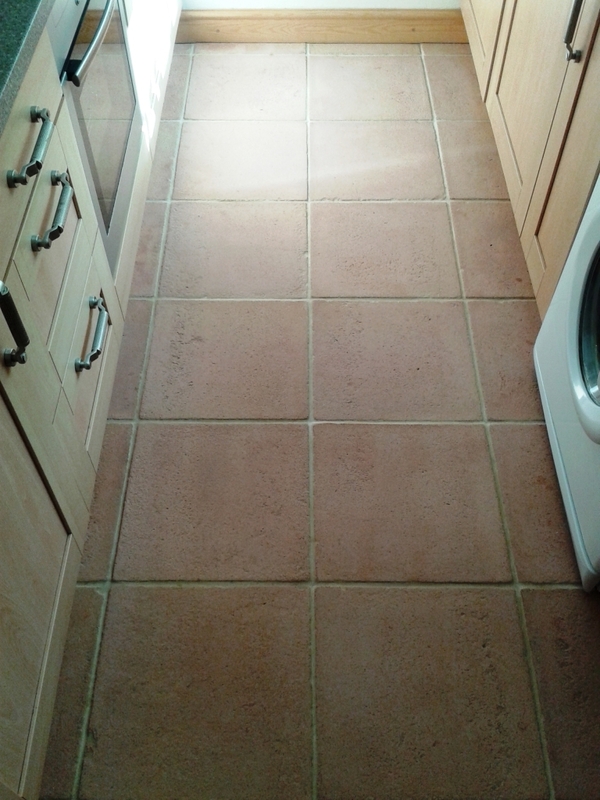 The remaining areas were covered with Terracotta tiles which they had thought were quarry tiles. 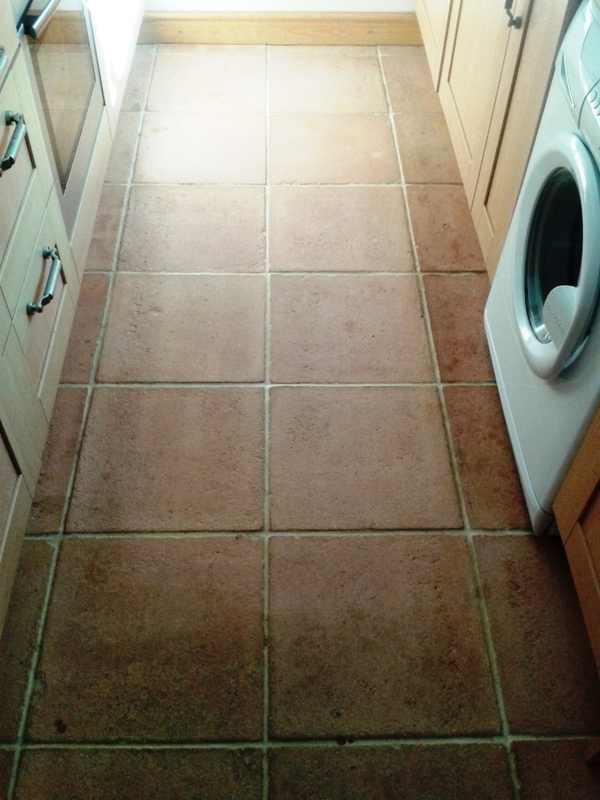 On first impression I thought they were a patterned ceramic tile as the tiles a slight sheen on them and the “pattern” looked uniform however on closer inspection I realised that they were definitely not ceramic so I did a test clean on a small area and it turned out that the apparent pattern was in actual fact from a build up dirt all over the tile; the owners were shocked at the discovery. 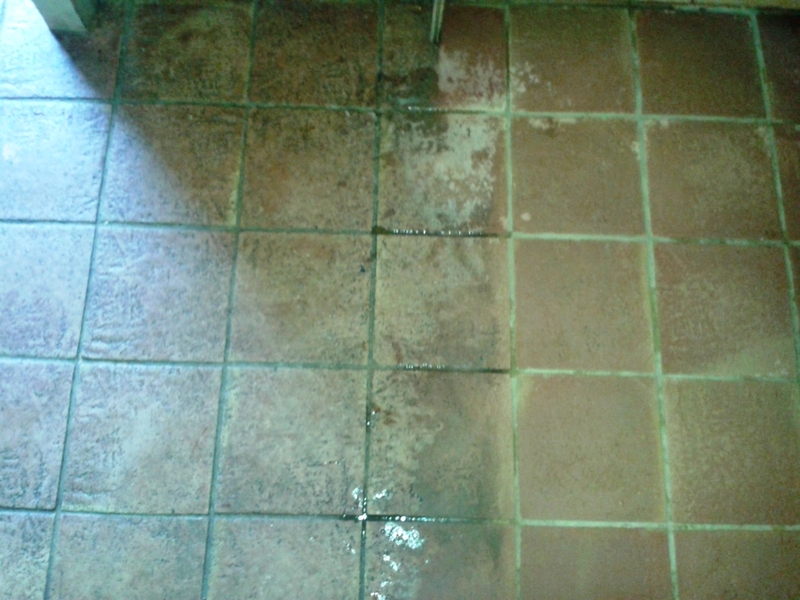 I cleaned both floors with a dilution of Tile Doctor Remove and Go which was left to soak into the tiles for a while before being scrubbed in using a rotary machine fitted with a black pad and the dirty water was removed using a wet vacuum. 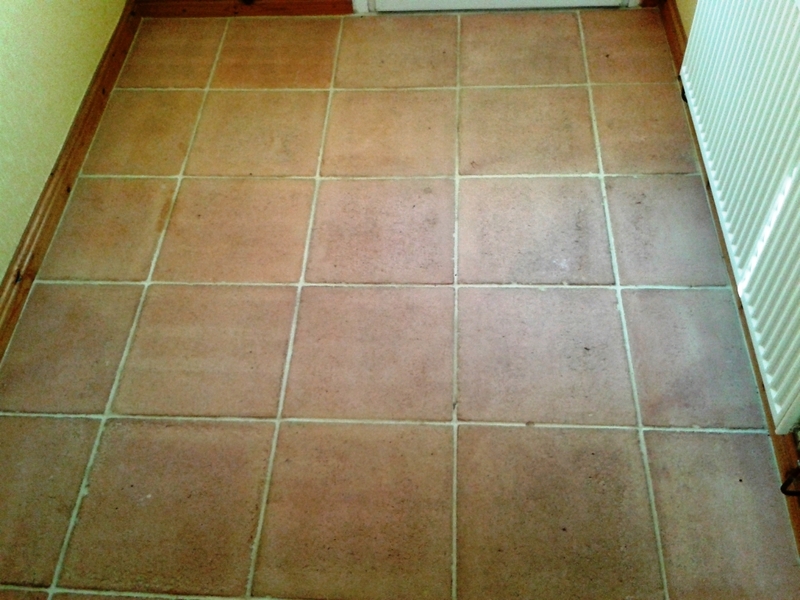 The Terracotta tiles needed extra attention so I scrubbed them once again with a brush paying special attention to the tiny holes in the surface of the tile which had become ingrained with dirt. 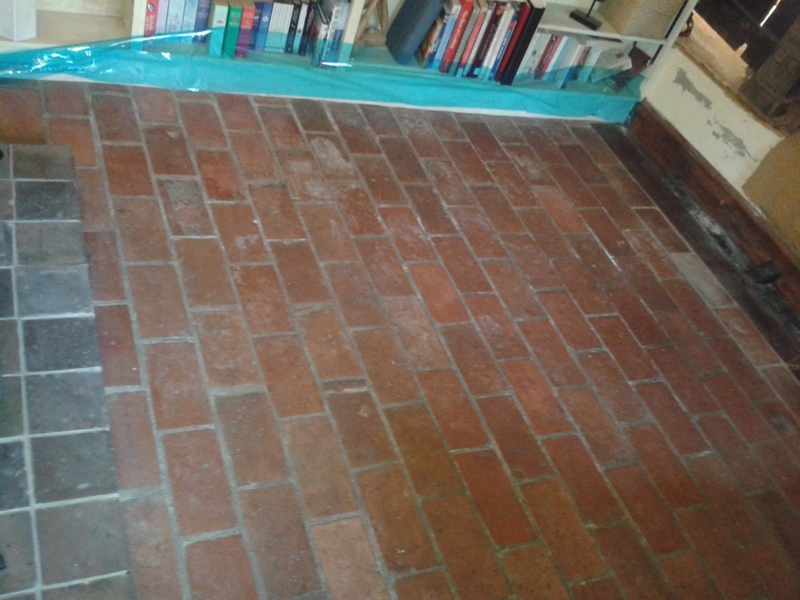 Once I was happy both floors were given a final rinse to remove any cleaning products and I finished the day repairing the grout line in the lounge. 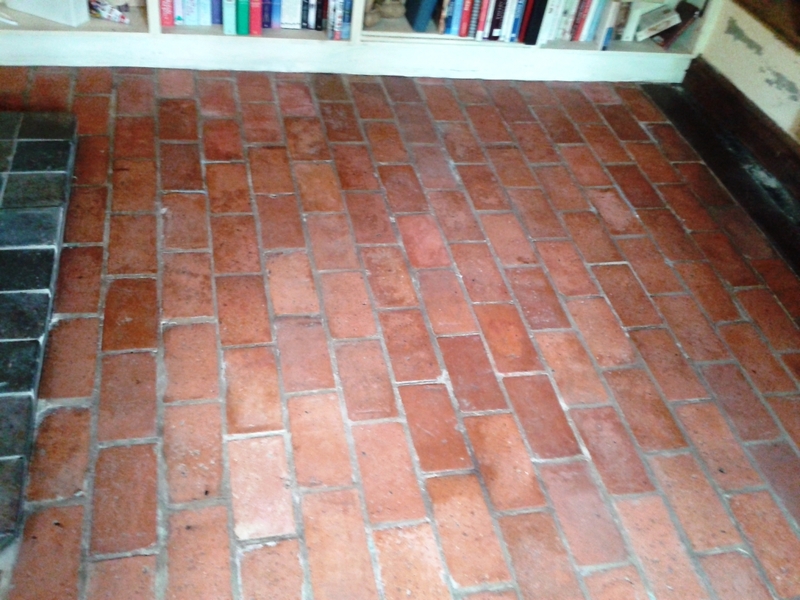 I left the floor for a week so it could dry out thoroughly and when I returned to seal the floor, the damp meter indicated that the floor was dry enough to take the sealer. 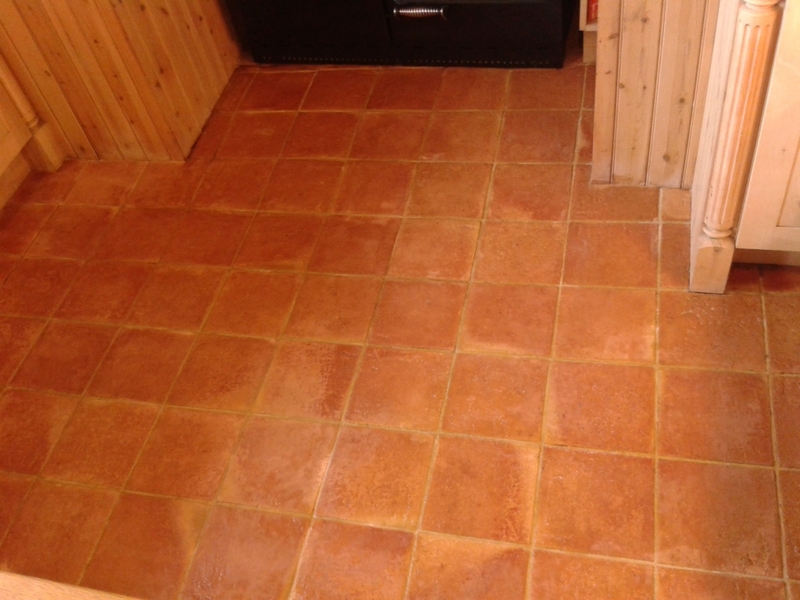 At the same time I did a final inspection of the floors and spot cleaned those areas where it was needed using a heat gun to dry the tiles afterwards. 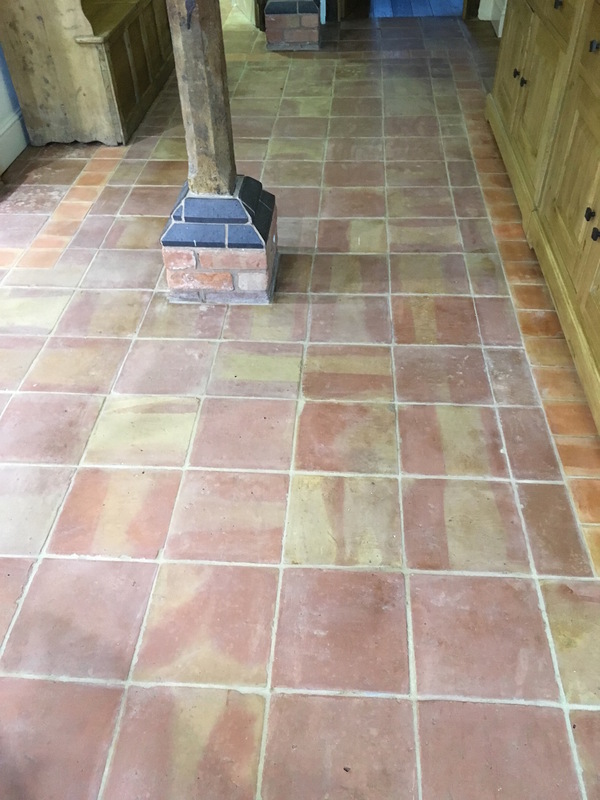 The customer had dogs and had specified a matt finish so I sealed the Quarry and Terracotta tiles several coats of Tile Doctor Colour Grow which is an impregnating sealer that occupies the pores in the tile and also enhances the colour of the tile. 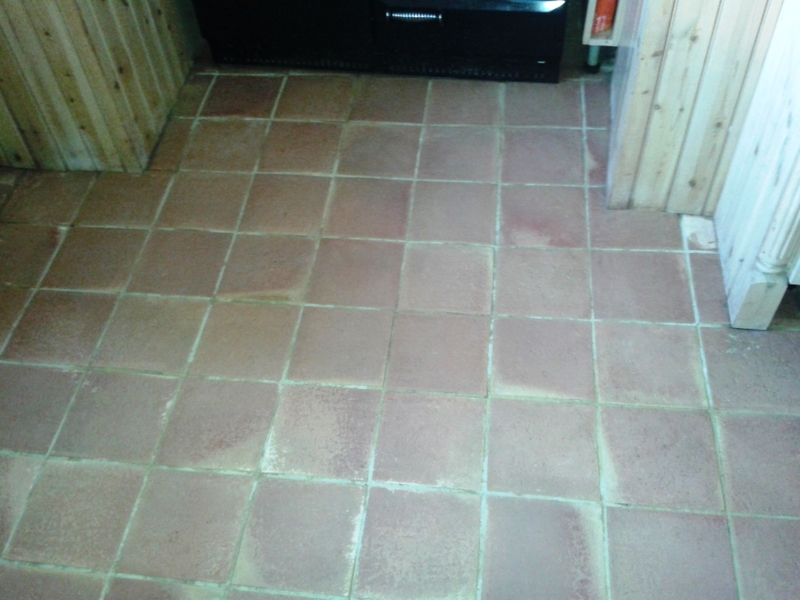 Needless to say the customer was really pleased with the result. 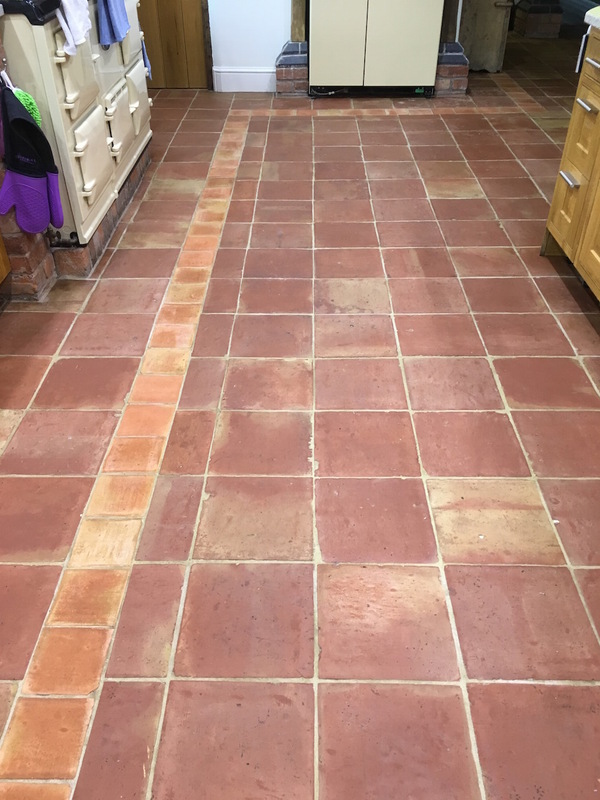 I cleaned the Terracotta floor with strong dilution of Tile Doctor Pro-Clean scrubbed into the tile and grout with a black pad and then rinsed off with clean water which was then removed with a wet vacuum. 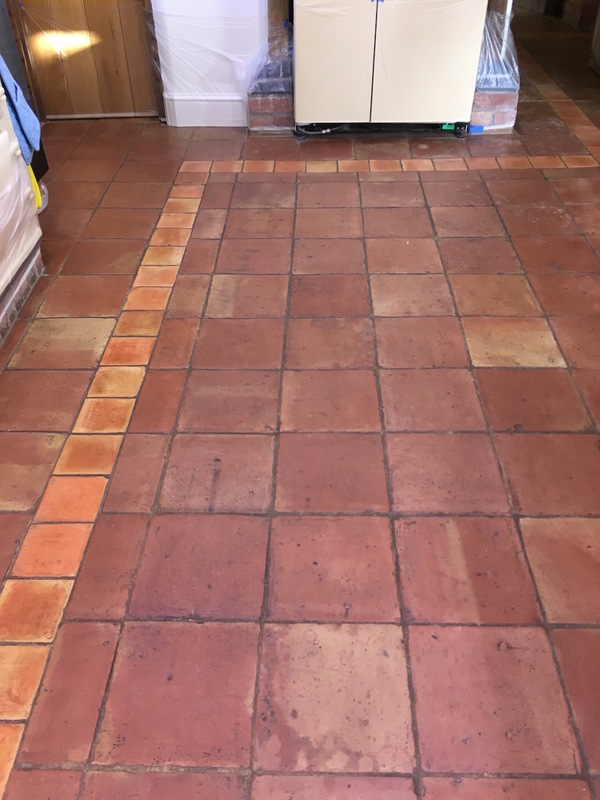 After rinsing the floor there were a couple stubborn spots left behind so they were spot treated using Tile Doctor Remove and Go which is a strong coatings remover that is safe to use on tile and stone and usually takes care of most issues and certainly worked in this case. 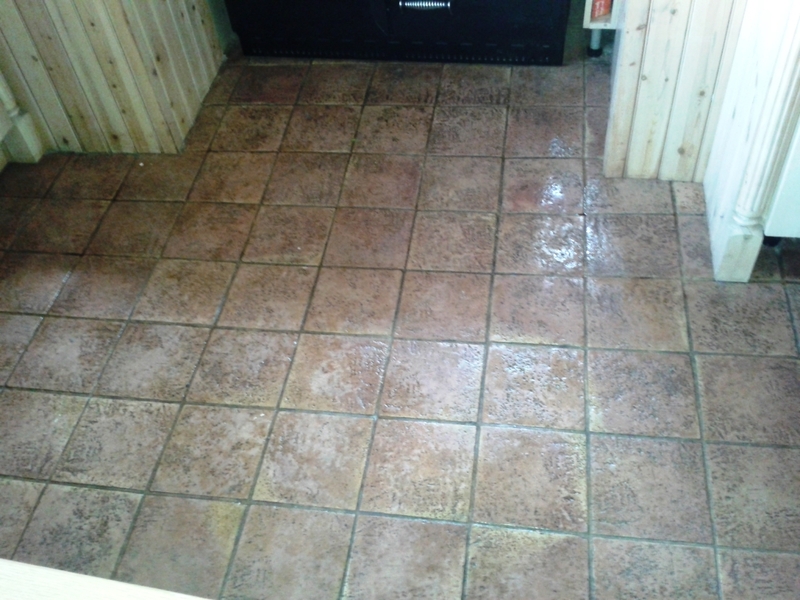 The floor was then thoroughly rinsed to remove any cleaning product prior to sealing and then left to dry. 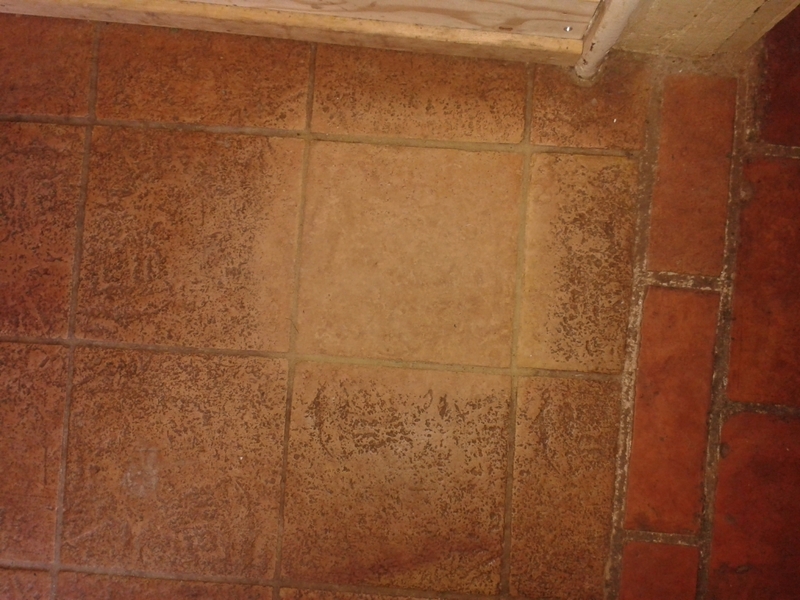 I’d agreed with the owner to return a week later to ensure the tiles were bone dry and ready to be sealed and on my return I checked the floor for any problem areas in need of further cleaning and also for dampness. 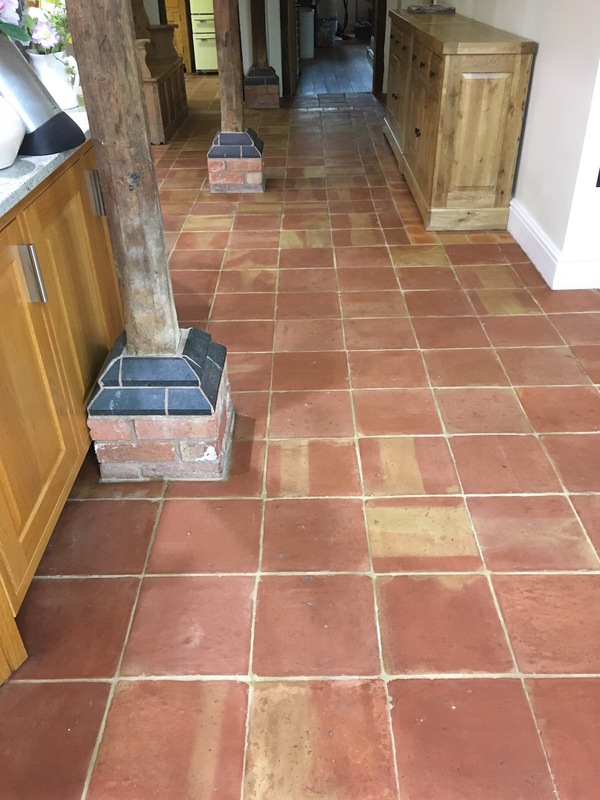 The Terracotta was dry enough to take the sealer so I sealed it using two coats of Tile Doctor Colour Grow which was chosen as the customer didn’t want a shine on the floor. 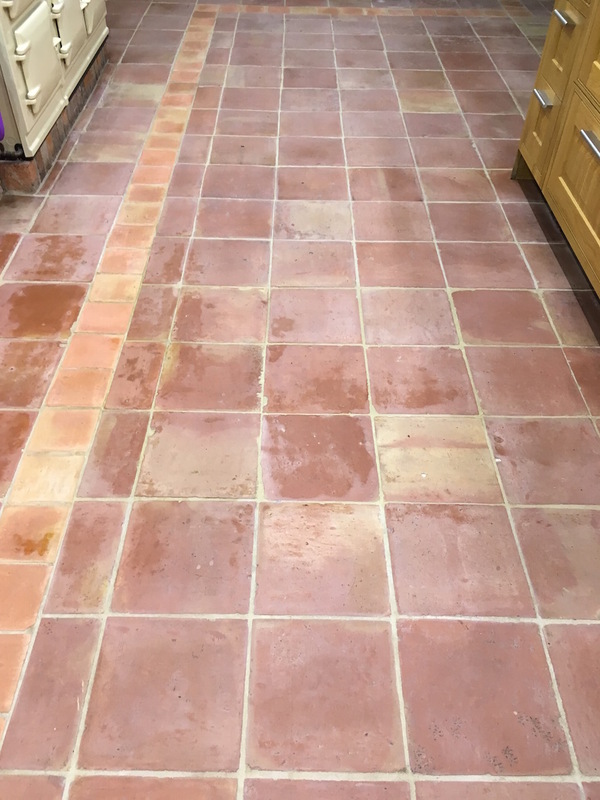 Out of interest I’ve included the photograph below which shows how the sealer causes water to form on the surface of the tile due to the surface tension provided by the sealer.